There are a lot of strange and bizarre things you can buy from your favourite football club. If a Grimsby bed sheet, Newcastle negligee or a Benfica toothbrush is what strikes your fancy I'm certain those particular clubs will sell you it. But what about a club selling tickets for a match that might have happened, but didn't? 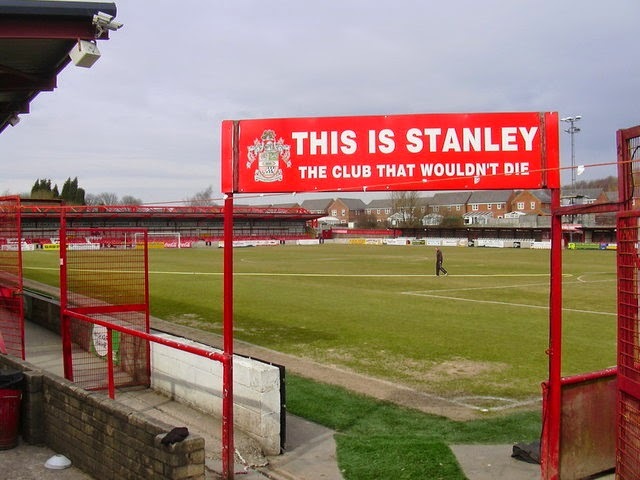 English side Accrington Stanley are doing just that this week after putting up for sale commemorative tickets for an FA Cup 3rd round meeting with Manchester United. The problem is though that Accrington lost to Yeovil in a 2nd round replay so that match never actually occurred, so the tickets are for a dream meeting that never came to pass. "To mark the club’s FA Cup run, 250 special edition commemorative tickets for the third round tie with Manchester United that would have followed a second-round replay win at Yeovil are being issued and available to buy for just £20 each." The club has promised to use the proceeds of any funds raised to help with player recruitment in the January window. You can't blame them for trying I guess.